but DUMB PHONES on their desks! 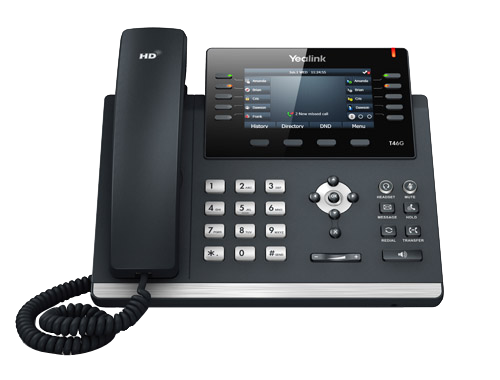 We will help you decide which VoIP business phone system is the best fit for your office’s unique needs. We will install your brand new VoIP business phone system and ensure it is optimized as per your needs. Do you need your VoIP business phone system upgraded or maintained? We do that too! Rockland VoIP is the area’s most knowledgeable high-tech phone system dealer serving Rockland County. We sell and install Cloud Voip Systems – the only equipment you need at your office to power enterprise smart office phones is the actual phone & the internet. In addition to selling phone systems, we offer top-notch VoIP business phone system installation and maintenance. Don’t know what system to choose or which features would benefit your business the most? Let our technical experts guide you in choosing the best phone system (Yealink, Grandstream, Cisco) and hosted VoIP service provider (RingCentral, Vonage Business, Jive & 8×8) and then set it up to run seamlessly within your existing office environment. Contact us for a complete phone demo, to discuss plans for configuration, check your internet quality & plan any necessary cabling. Rockland VOIP sells, installs & configures business phone systems based on cloud voip for Rockland County Business Offices. Click on the button below and fill out the form to set up a business phone system consultation with Rockland VoIP. People love VoIP business phone systems for their vast array of comprehensive “smart phone-like” features and ease-of-use. 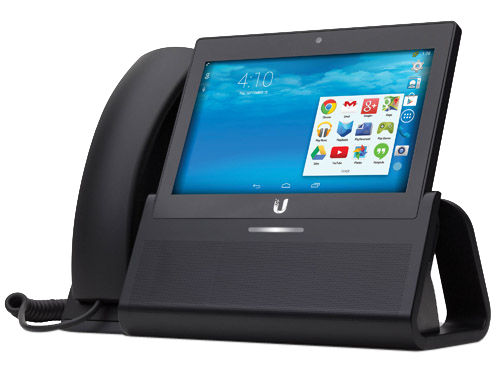 It is by far the best option for your business phone system, hands-down. Upgrading or adding employees is a breeze, and you can seamlessly integrate multiple office locations into one system. Through VoIP, you can even call your clients from your cell phone through an application, without your number showing up on their caller ID. You get all the amazing features listed below for the same price you’re paying now for your traditional, boring business phone system with NO FEATURES. Need to check your voicemail while out of the office? With VoIP, your voicemails can be transcribed as emails and sent straight to you. Don’t worry about constantly checking your voicemail, or wasting time calling it and going through the process. Get the information you need quickly and easily by reading an email. Send and receive faxes as PDF files via email easily with VoIP. If someone faxes you, that transmission is converted to a PDF and sent to your email address. Need to send a fax? Just email a PDF (or any of these valid attachment types DOC, DOCX, XLS, XLSX, RTF, PPT, PPTX and TIFF) and it will get converted to a fax transmission. Record all your important calls from a centralized location without the need for administration, set-up or management at remote sites. Whether you choose a cloud or premises-based VoIP phone system, you will be saving money compared to using a traditional multi-line Public Switched Telephone Network (PSTN). With cloud-based VoIP, there is no upfront cost for the service, then approximately $30 per line each month. With this feature, you can create a list of numbers where you can be reached before an incoming call goes to voicemail. How it works: you could set your office phone to ring three times, then on the fourth ring, the call goes to your cell phone, after which it is routed to your home phone. This is an amazing feature with which you can integrate your VoIP system with old, analog door phones, and “buzz” building visitors in the front door once you deem them worthy. Advanced call screening is a very useful feature on VoIP phone systems. When you see a number on the caller ID, you can choose how to handle the call. If it’s someone you want to talk to, you can route the call to your cell phone. If it’s an annoying sales person, you can disconnect. One great thing about VoIP phone systems is how mobile they are. You can bring your phone home for days that you are sick or working from home, and easily swap desks when you move employees in the office. With a traditional phone system, any kind of move is troublesome and time-consuming. This feature creates a professional menu that your callers can use to choose the appropriate extension. It’s like having a “virtual receptionist,” and will instantly make your business seem much more professional. VoIP gives you remote access to all of your business phone system’s most important features, so you can login from your home or while on-the-go to check on things and make changes. When purchasing and having a VoIP phone system installed, you have 1 major decision to make – should you get cloud or premises-based VoIP? A cloud-based VoIP solution is one where your phones connect through your internet connection to a provider who houses equipment at an off-site data center. This is generally the best choice for smaller offices. A premises-based solution is one in which the hardware appliance for your phone system is kept on-site in your server closet. Using VoIP with an on-site server has a higher cost upfront, but no recurring monthly fee. This is the best option for large organizations. Hosted PBX services are able to function through a traditional phone line (Public Switched Telephone Network, PSTN) through the internet (hosted IP PBX through Internet telephony or VoIP) or through a combination of the two.